"Still hope for bubble series like Agent Carter and Castle." 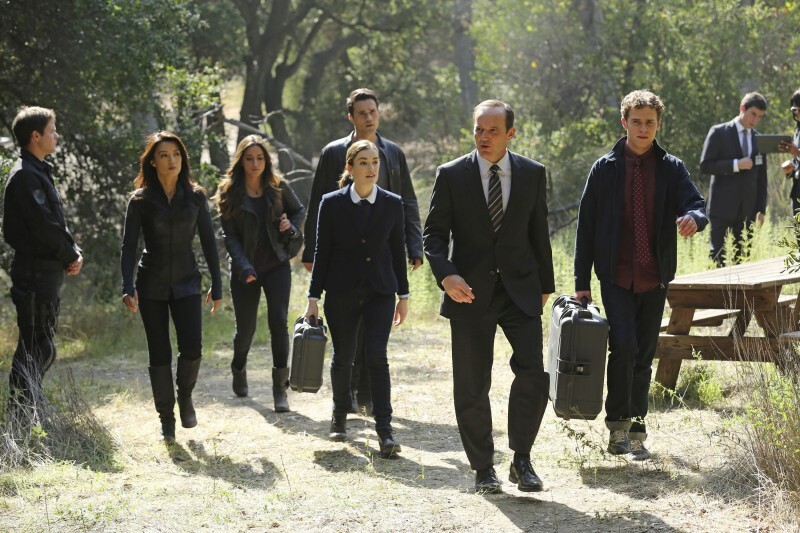 ABC announced yesterday that Agents of S.H.I.E.L.D. would be returning for a fourth season. The news came as part of a mass renewal of fifteen ABC shows, including early renewals for Quantico, Fresh Off the Boat, How to Get Away with Murder, America’s Funniest Home Videos, The Bachelor, black-ish, Dancing with the Stars, The Goldbergs, Grey’s Anatomy, Modern Family, The Middle, Scandal, Once Upon a Time, and Shark Tank. In their posting on Agents of S.H.I.E.L.D. 's renewal, Marvel.com's Marc Strom was quick to point out that there’s a lot more to come in Season 3: “Before we can embark on Season 4, though, Director Coulson and his tireless team still have to face the menace of Hive and the world's growing concerns about the number of Inhumans popping up across the globe. There's plenty to come as we begin the second half of Season 3, and you won't want to miss a minute of it!” [caption id="attachment_80770" align="aligncenter" width="602"] "No need to pack our bags just yet." (Image via MoviePilot. )[/caption] No word yet on the status of Agent Carter, which just finished its second season, but Hayley Atwell was recently cast in the ABC drama Conviction (in addition to Agent Carter’s low ratings)- which could spell doom for the series. However, ScreenCrush commented that renewals typically occur in May, meaning there’s still a chance for the show - and other series left off the list like Castle, American Crime, Galavant, Last Man Standing, Dr. Ken, Nashville, and The Muppets - to come back. Agents of S.H.I.E.L.D. returns this coming Tuesday at 9 pm ET.